Living a Fit and Full Life: Take the MegaPledge and Close the Nutritional Gap this Year with MegaFood! + Get a $5 Off Coupon! Take the MegaPledge and Close the Nutritional Gap this Year with MegaFood! + Get a $5 Off Coupon! MegaFood™ is committed to real because we like the way real makes you feel. And we like the way it makes us feel. We like the feel of working with real organic farmers and real local natural retailers—of being a small, honest, rooted-in-real New Hampshire company. We like the feel of being real, using real, making real. You’re already making good choices—we want to make it even easier. Thinking about what goes into their supplements is not something many people do. But fortunately for you, that’s all we think about. Our mission is to feed your body and nourish your soul so that you feel your absolute best self: prepared for the day, fueled with energy, filled with confidence. We take real nutrition really seriously so you can get out there and have a blast. 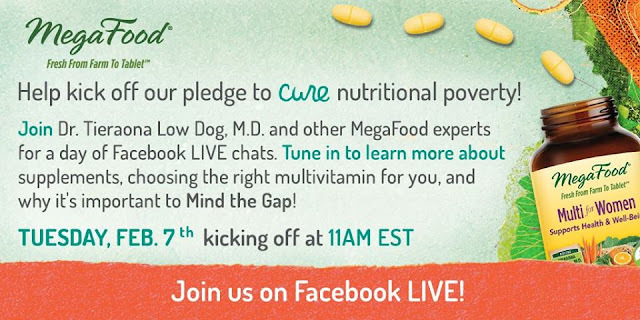 Take the MegaPledge and Pledge to Close the Nutritional Gap this Year with MegaFood! Give us your word! Pledge to close your nutritional gap by taking a MegaFood Multi and clicking the pledge button below. MegaFood will donate 1 bottle of Multis for every pledge (up to 20,000) to someone in need. Plus, we’ll make a donation to Wholesome Wave, equivalent to 2 servings of fresh fruits & veggies per pledge for those in need. You don’t have to bend over backwards to pay it forward: just take the pledge that you’ll work on minding the gap through a healthy diet & multivitamins and we’ll pass the good on to someone who needs help conquering their nutritional gap. 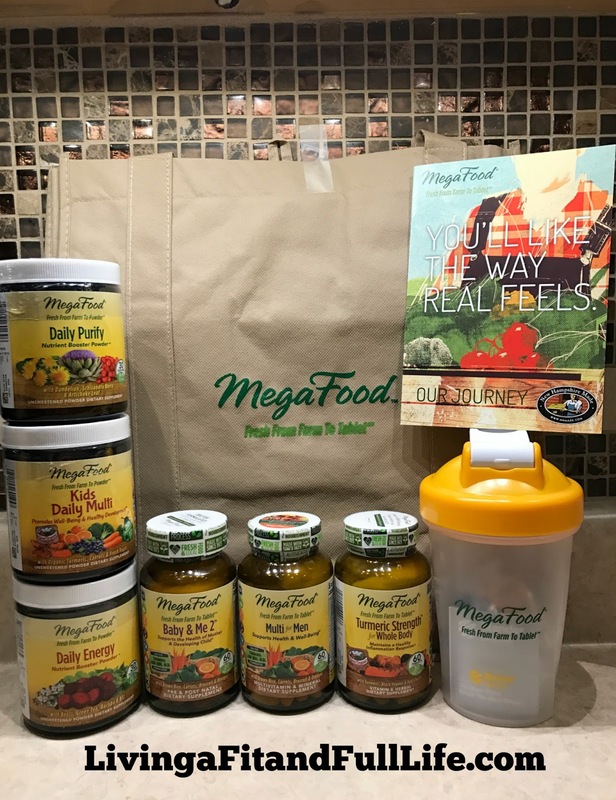 How I pledge to close my nutritional gap this year with MegaFood! I've seen MegaFood products around for some time now but have never tried them until recently. I'm absolutely in love with all they have to offer! This year I pledge to be healthier than ever and as a mom of 4 that also includes keeping the husband and kids healthy since they seem to be the ones that pass their sicknesses to me the most often. 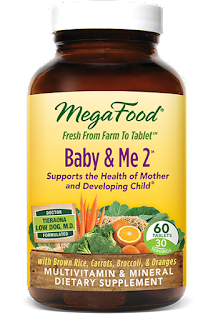 Megafood's Baby & Me 2™ is a wonderful product and while I'm not currently pregnant I'm still nursing so I have decided to continue taking a prenatal vitamin. I found it to be extremely gentle on my stomach and also love all the nutrition it offers. 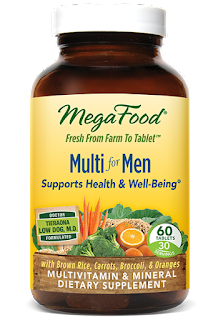 Multi for Men by Megafood is perfect for my husband because it doesn't contain iron or calcium which most men don't tend to need anyway. Iron supplements tend to cause constipation so I'm glad to see it left out of this formula since it's not needed anyway. 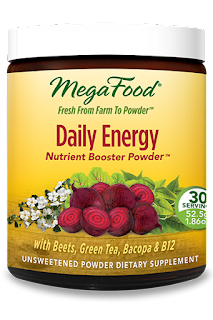 Megafood's Daily Energy Nutrient Booster Powder™ is an awesome product! I love that I can get a little energy boost in the mornings naturally with this powder. It contains beets, green tea, bacopa and B12 which are all natural and great at helping to energize our bodies. 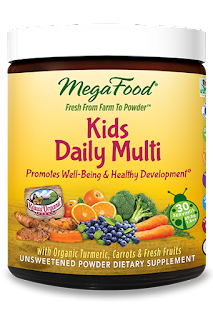 Megafood's Kids Daily Multi Nutrient Booster Powder™ is terrific for kids! I love that I can add it to my kids morning smoothies and they actually drink it. There's been a few nutritional powders over the years that they can't tolerate which is annoying because I end up having to either drink it myself or poor it down the drain. I'm happy to report that Kids Daily Multi Nutrient Booster Powder doesn't seem to add an unpleasant taste and my kids seem to enjoy it. 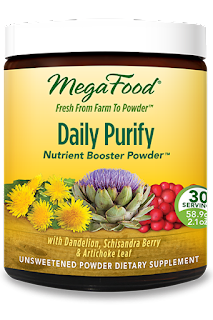 Daily Purify Nutrient Booster Powder™ by Megafood is a wonderful way to gently eliminate toxins from the body! MegaFood's Daily Purify Nutrient Booster Powder promotes healthy liver detoxification. I found that after taking it for just a few days my energy level was up and I felt happy and healthy. 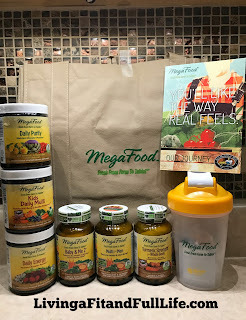 I absolutely love all of these MegaFood's products and highly recommend them! 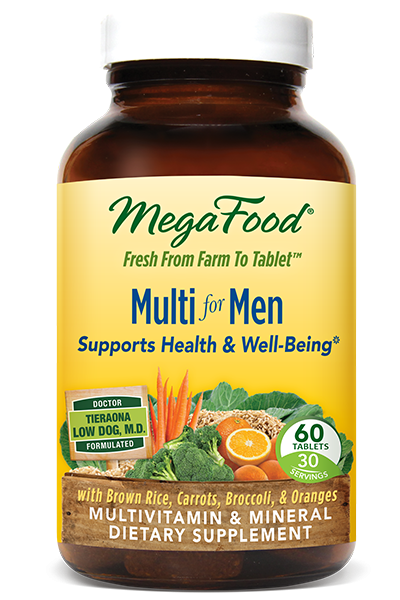 Click HERE to find a store near you that sells MegaFood products! 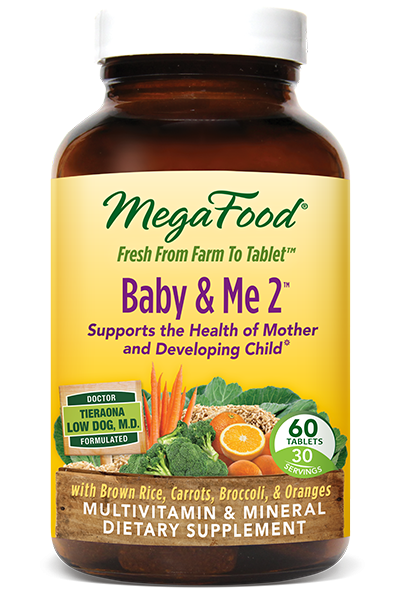 Click HERE to learn more about MegaFood! Follow MegaFood on social media!